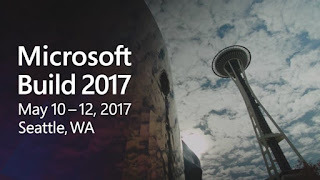 Microsoft's Build conference is happening this week, the schedule for all the sessions was just made available. Below are all the sessions that will be most interesting to people who work with data. Clicking on the session's title will bring you to the Channel 9 page that will have the content. These session recording are of course not available yet, you will need to wait till after the conference is done to see them. Applications show intelligence when they can spot trends, react to unusual events, predict outcomes or recommend choices. Learn how to introduce intelligence traits into your apps including; establishing feedback loops, applying big data and machine learning techniques to classify, predict or otherwise analyze explicit and implicit signals, and operationalizing the full stack into the regular usage flow of the app. Most every day apps, from consumer to enterprise can deliver greater customer or business benefit by learning from user behavior and other signals. In this session we’ll take a pragmatic look at introducing real, useful data-driven intelligence into apps by walking through services, code and data needed to make it happen. Microsoft offers SQL Server and Azure SQL Database to help you develop great relational database applications. 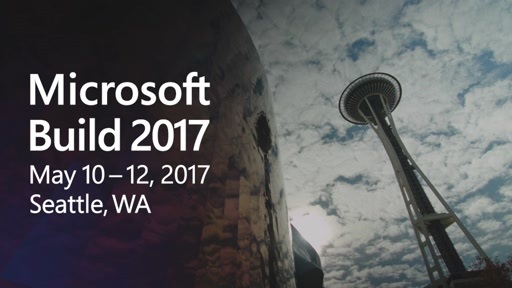 In this session you will learn about the top developer features coming in SQL Server 2016 which are already in Azure SQL Database. Additionally, you will see the latest investments in Azure SQL Database that enable you to easily manage thousands of databases and get the performance and security insight needed to build robust and secure applications in the cloud. What does a #1 app on the iTunes App Store and an installment of one of the most successful gaming franchises in history have in common? They both use Azure DocumentDB to ingest massive volumes of data and serve low latency queries to provide great user experiences. Come learn about the business goals and technical challenges faced by two real-world, immensely popular applications and why they chose to use Azure DocumentDB, as well as the application patterns they used to achieve their massive scale requirements. R is the lingua franca of Analytics. SQL is the world’s most popular database language. What magic can you make happen by combining the power of R and SQL for Data Science and Advanced Analytics? Imagine the power of exploring, transforming, modeling, and scoring data at scale from the comfort of your favorite R environment. Now, imagine operationalizing the models you create directly in SQL Server, allowing your applications to use them from T-SQL, executed right where your data resides. Come learn how to build and deploy intelligent applications that combine the power of R, SQL Server, thousands of open source R extension packages, and high-performance implementations of the most popular machine learning algorithms at scale. Modern cloud applications provide new opportunities every day for greater insights into our customers, code and quality using the signals in the application’s exhaust. Using the data produced by users and applications, developers can easily improve the experience for users and increase their engagement within the apps they are using. Starting with a typical application deployed in Azure, this talk will walk through the steps required to build a more intelligent application, customized for each user to provide a more engaging experience. We’ll add more engaging recommendations tailored to a user, more relevant in-application search results, and gain deeper understanding the application’s users. Additionally, we’ll cover how to process this telemetry as it is created to enable us to react in real time to changes in the application. No knowledge of machine learning, data science, or big data is required, by the end you’ll learn to use all three to create a richer application.